A simple estimate doesn't tell you if your hot tub is worth fixing. 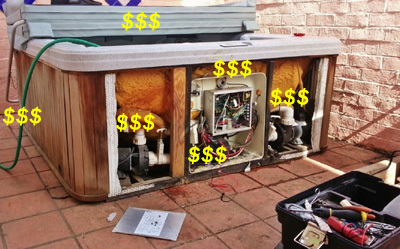 A hot tub repair estimate only tells you how much it should cost to fix a particular problem. It doesn't tell you if your money will be well spent. Get a complete hot tub evaluation before you decide to spend money on a hot tub repair. Don't get burned fixing one problem after another after another until you've spent enough money to have bought a whole new hot tub. Error codes: DR, DRY, FL, FL1, FL2, FLO, FLO1, FLO, 2HH, OH, PSol SN1, SN2, SNS, etc. Modern portable hot tubs use various sensors and switches to monitor and regulate temperature and control heater operation. When a sensor or switch detects a problem it usually triggers an error code. Details vary by make and model but some error codes only disable your heater while other error codes disable your entire hot tub. Some error codes can be cleared by turning hot tub power off and back on but a persistent error code that keeps coming back usually requires a service call to troublshoot and determine the cause. 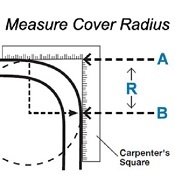 *Informal estimates are for information purposes only and do not constitute a binding contract. Actual cost may vary. Certain limitations apply. Schedule a $95.00 Troubleshooting, Testing & Inspection visit for guaranteed estimates. 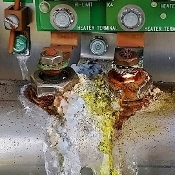 Most of the time, a defective hot tub heater will usually short out to ground and trip your GFCI breaker. The breaker may trip as soon as you try to turn it on or it may only trip whenever the heater turns on. Either way, the power turns off, the entire tub shuts down and you know for sure you need something fixed. Some of the time, the breaker stays on, the rest of the tub works fine and the control panel indicates the heater should be working. 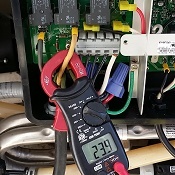 If you have no heat, no error codes and the breaker doesn't trip, the only way to determine if the heater is defective is to put a clamp-on Ammeter directly on the heater to see if electricity is running through it. 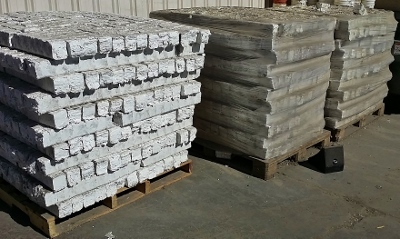 If your hot tub cover is dry rotted and falling apart or waterlogged and heavy it will increase heat loss, reduce heating efficiency and increase heating cost. 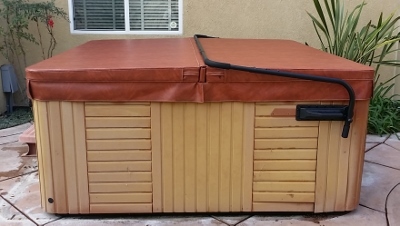 Here in California we pay some of the highest electricity rates in the country so a new hot tub cover can reduce heating costs enough to pay for itself in just one season. The new cover doesn't fit at all! Get a Hassle-Free Hot Tub Cover Instead! Vinyl skin is the only landfill impact! Error codes: DR, DRY, FL, HH, OH, PSol, etc. 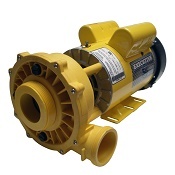 Some hot tub manufacturers use a small, low-flow, dedicated circulation pump for heating and filtration and one or more larger, high-flow jet pumps to operate jets and water features. 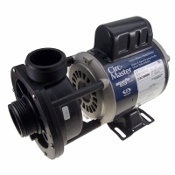 The smaller, circulation pump runs automatic, programmed heating and filtration cycles through a loop of plumbing dedicated only to hot tub heating and filtration. Sometimes, your hot tub circuit board burns and smokes and covers itself in soot to let you know it needs to be replaced. Most of the time, problems with your hot tub circuit board are a lot like problems with the motherboard in your computer. 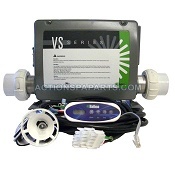 A hot tub circuit board problem can be difficult to troubleshoot until you have eliminated every other possibility. 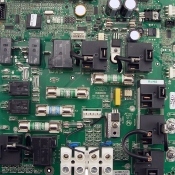 Intermittent, random or false error codes are often signs of a circuit board firmware problem. 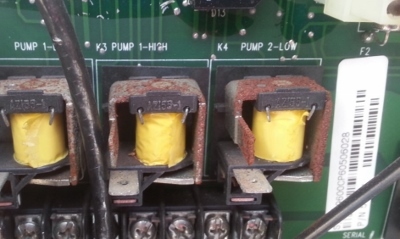 What appears to be a component failure like a defective pump or defective heater can actually be a defective relay on the circuit board failing to send voltage from the circut board to the pump or heater. 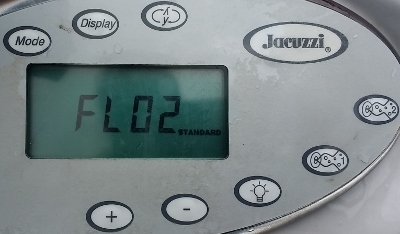 Your hot tub has at least one powerful jet pump designed to move large volumes of water at high velocity and pressure. If your hot tub has more than 30 jets odds are you have at least two jet pumps. Some larger hot tubs and swim spas have four or more jet pumps! 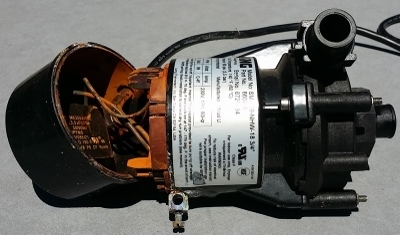 Sometimes, all you really need to fix your hot tub is a new control panel or a new circuit board but you end up replacing the whole control system because all too often, the specific parts you need are discontinued and no longer available. Portable hot tubs are built on an assembly line like any other household appliance and have a similar lifespan. If your refrigerator, dishwasher, clothes washer or hot tub is more than ten years old repair parts may not be available. Hot tub sales follow the housing market so when the housing market crashed about half of the portable hot tub manfacturers across the nation went out of business especially the smaller, regional brands. 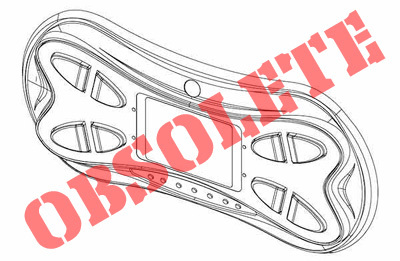 Then, there are other times when the circuit board you need is still available but can only come from your hot tub manufacturer (like car parts that can only come from the dealership) so they can (and usually do) charge higher prices. 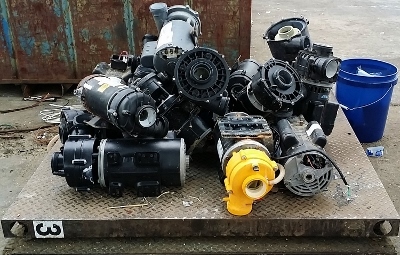 Sometimes, it's more cost effective to replace the entire control system with an after-market retrofit kit than to pay just as much or more for a single comoponent like a circuit board or control panel from a proprietary source. Good news: 90% of leaks in portable hot tubs are found in the easily accessible equipment area. 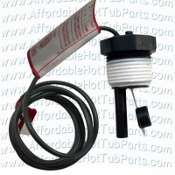 Hot tub pumps send vibrations through all the plumbing so fittings can loosen over time leading to leaks. Leaks in your hot tub equipment area are usually routine and ordinary and only require tightening a fitting or sometimes replacing a gasket or 0-ring. Bad news: 10% of leaks in portable hot tubs are found in the complex plumbing, buried in spray-foam insulation deep inside the less accessible parts of the cabinet. 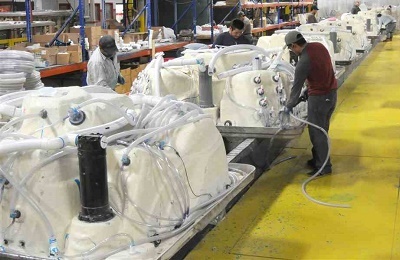 Hot tub shells are placed up-side-down on the assembly line so workers in a pit under the shell and workers above on both sides can attach all the complex plumbing that delivers water to each of the jets in a modern, portable hot tub. 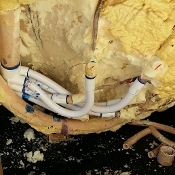 After the plumbing is complete, the shell and all the pipes and fittings are usually water tested and then sprayed with foam insulation untill all the plumbing is buried under several inches of insulation. Once the frame and cabinet are installed most of the plumbing in a portable hot tub is not readily accessible. Leaks in the cabinet are not routine or ordinary and may be caused by factory defects such as bad glue joints, old brittle plumbing, chemical damage and rodent damage. 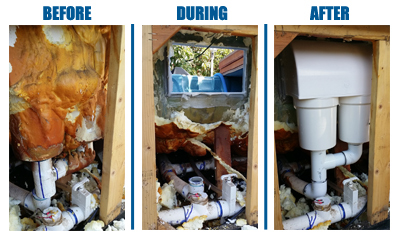 Here in San Diego, leaks in a hot tub cabinet are often caused by rodents chewing on plumbing while they set up a nest and raise a family deep inside your nice, warm hot tub hotel. 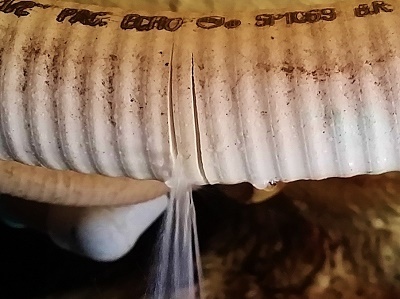 If you live on a canyon or greenbelt, have fruit trees, or just have a community fence line running through your backyard...there is a pretty good chance you've had mice and rats sniffing around the bottom of your hot tub looking for a way in. 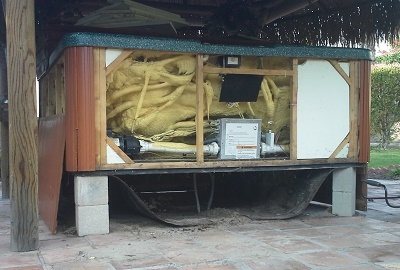 Leak detection inside the cabinet of your hot tub usually starts wtih digging out and scraping off the spray-foam insulation used by most hot tub manufacturers. 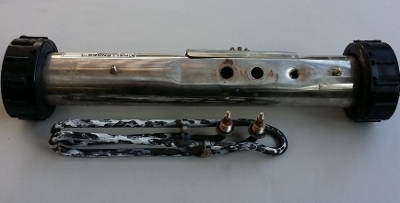 Once the leak is identified a repair usually involves cutting out and replacing pipe, fittings and other components such as the filter assembly pictured above. Over time, surge fatigue and chemical overdose can make the flexible pipe in your hot tub stiff and brittle. If your hot tub is leaking at cracks in brittle pipe it can be repaired but more leaks are pretty much inevitable.